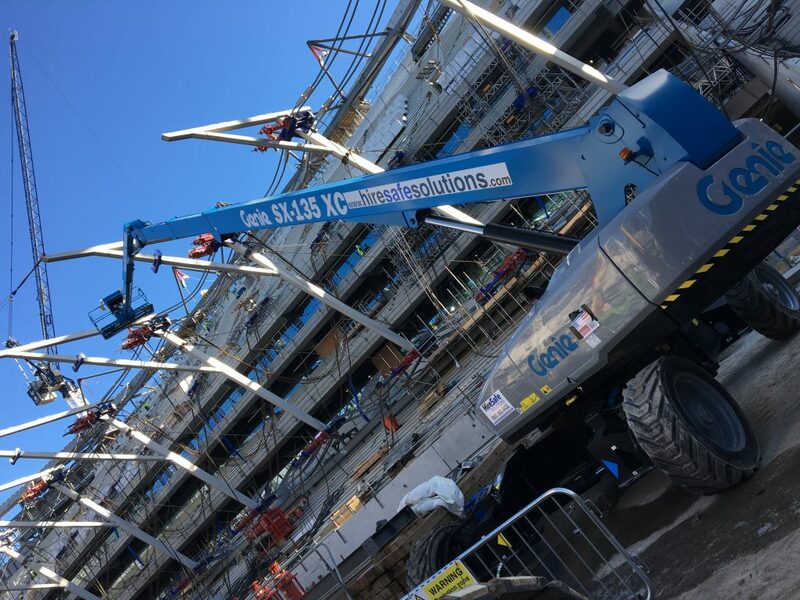 At Hire Safe Solutions Ltd we hire, lease and sell Straight Diesel Booms also called Telescopic Booms with working height capabilities from 15 to 58.56 metres. 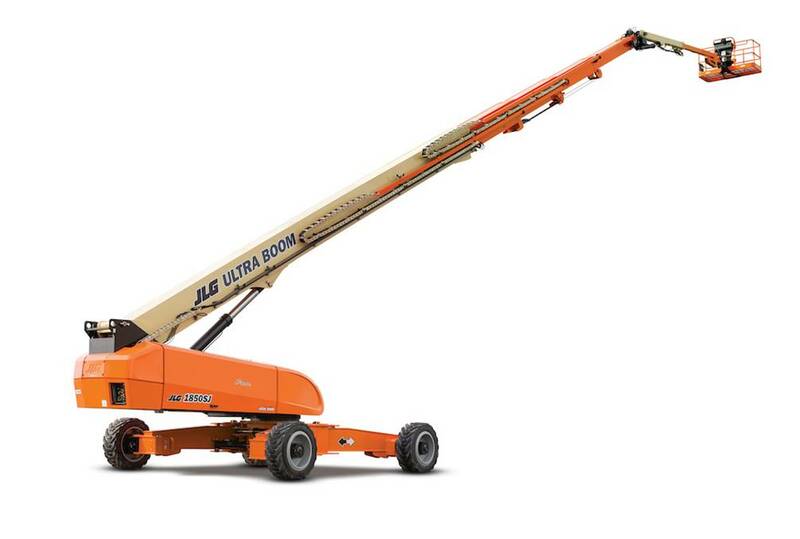 You can browse our full list of Telescopic Booms below. 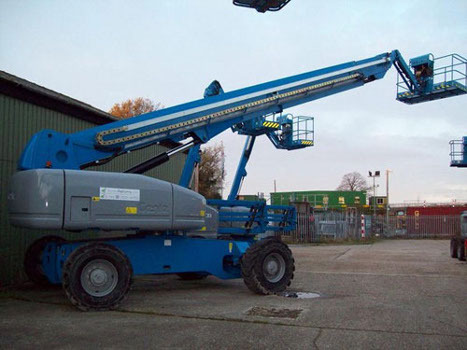 These are categorised as Mobile Booms, which come under the IPAF category Mobile Boom (3b). 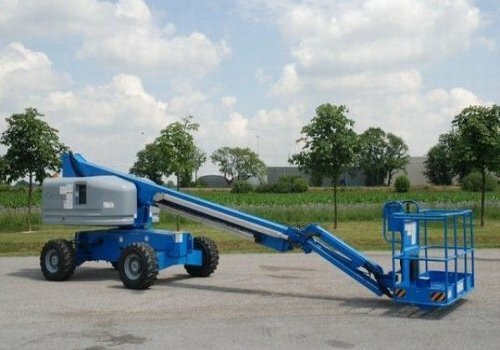 Our team of specialists is happy to offer advice and guidance on the most suitable option for you in terms of machine type and hire package. 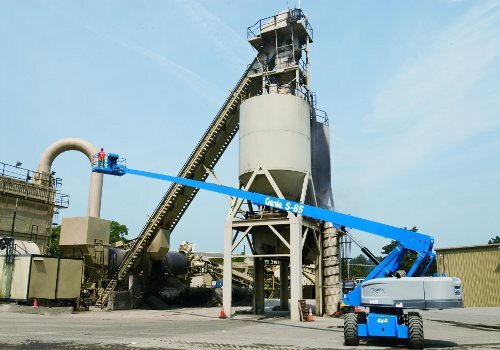 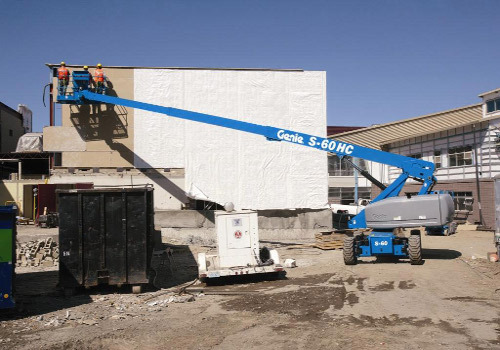 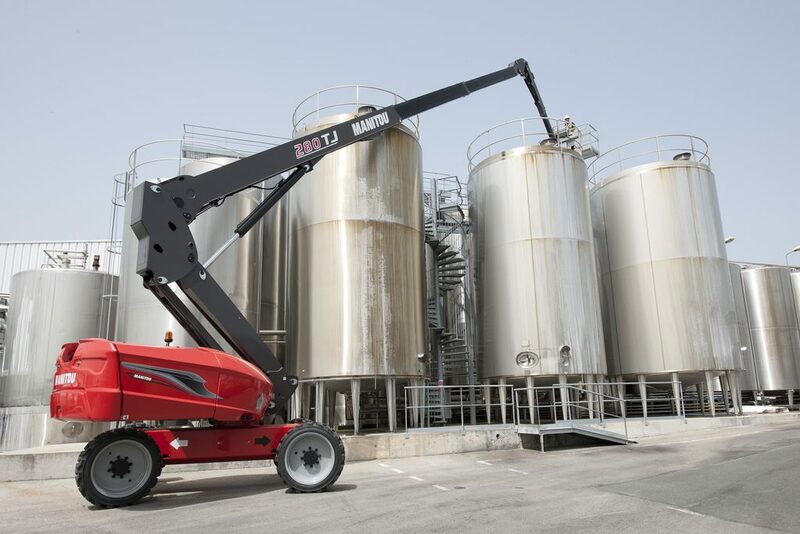 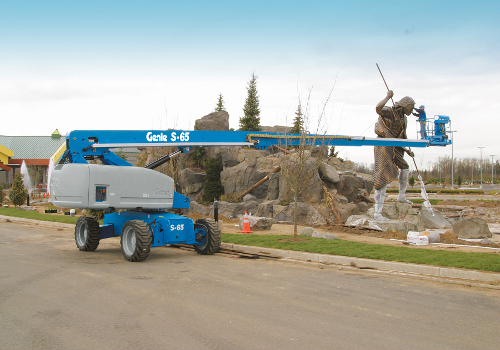 Telescopic Booms or MEWPs are also known as straight or stick booms, in fact a large amount of people refer to this type of MEWP as a cherry picker. 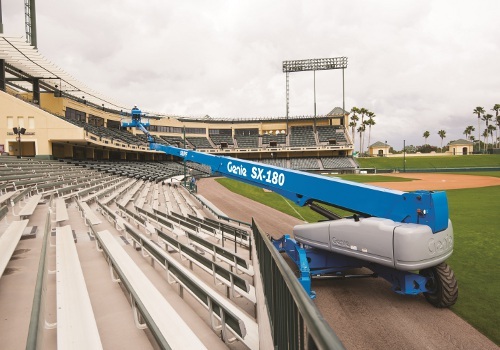 Grade-ability up to 40% and full 360-degree rotation makes the Straight Boom a universal tool for any modern construction site where limited access and maneuverability of the unit pose problems. 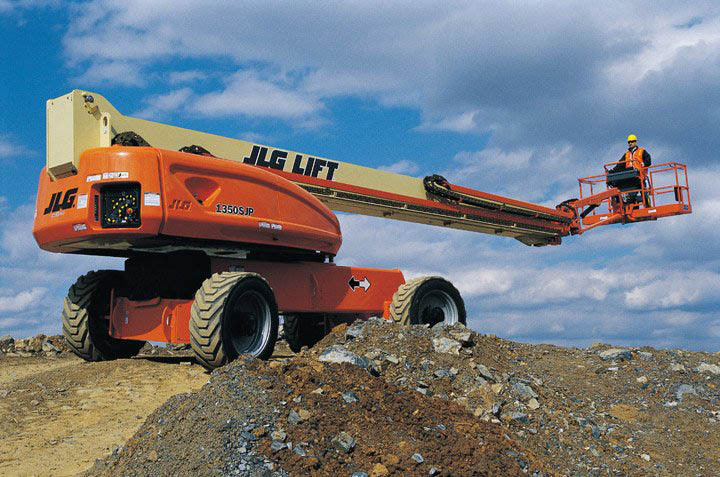 We are delighted to be able to offer the JLG 1850SJ with a working height of 58.56 metre, currently the world’s largest self-propelled boom. 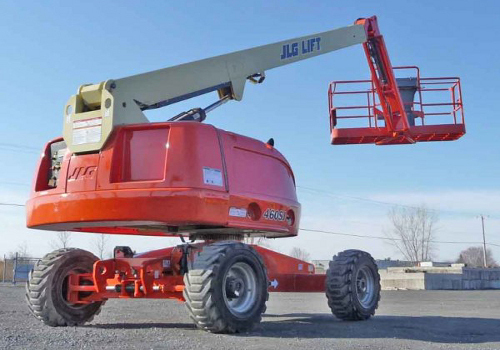 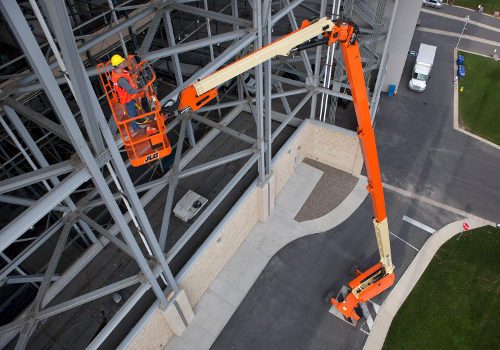 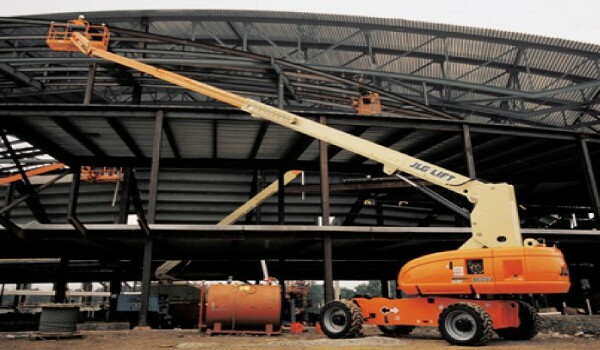 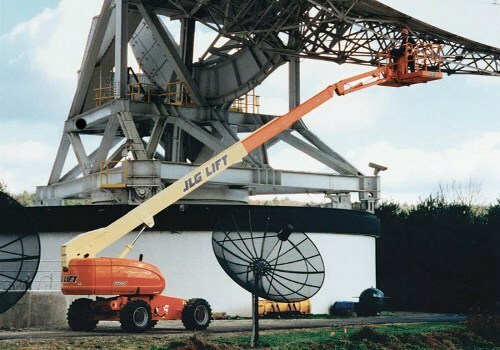 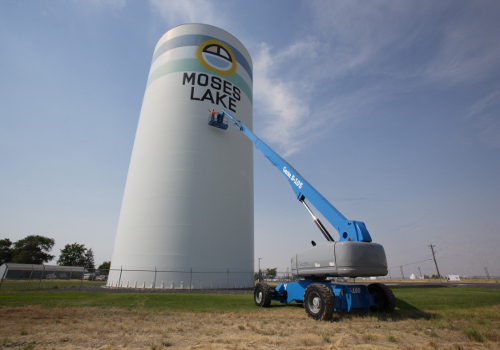 Hire Safe Solutions Ltd provide the safest, most reliable, and market leading brands including JLG, Genie, Manitou, Skyjack and Nifty Lift to name a few.